New Year's Eve is a time to go big or go home on all things glitter, sparkle, and shine. You could put the spotlight on your hair or makeup, but for the nail art-obsessed we have a different idea. 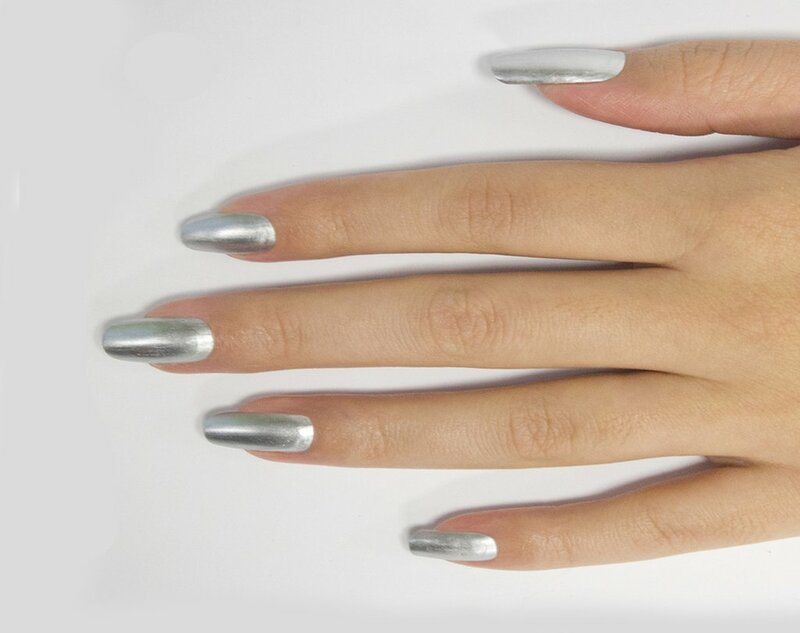 Instead of sticking to your routine nail polish shade to ring in 2015, try a two-toned metallic confection. 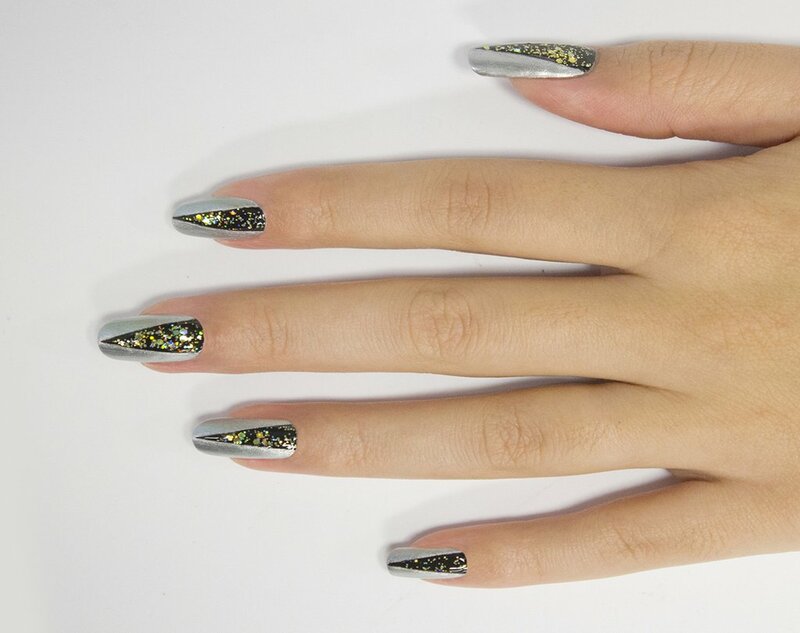 With hints of gold and silver, this nail art design is a confetti party on your fingertips. Best of all, the colors will act as a jewel-tone accessory for any dress you wear. Cleanse the nails of any dust or oil. Polish a single thin layer of Caption base coat ($12) as the foundation to your manicure. Using Caption core color in Rewind. Repeat. ($12), a silver metallic color, polish a single thin coat on the nails. Apply a second thin coat. Allow to dry. Tip: Polish a single thin layer of Caption top coat ($12) between color layers. Allow to dry. The top coat protects the color layer from pulling up with the nail masking tape. 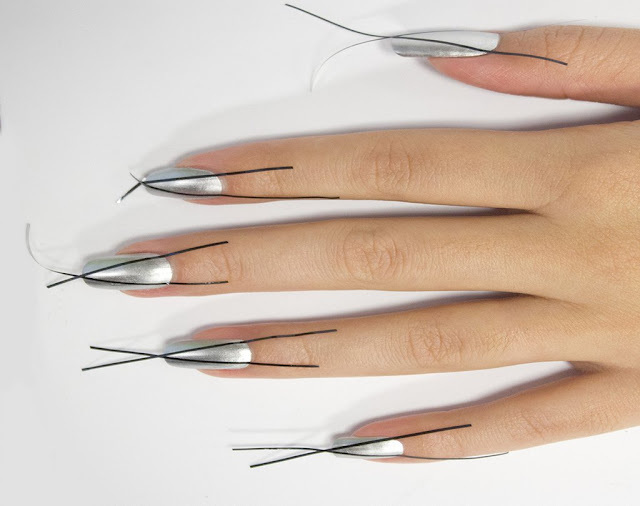 After top coat, create a narrow "V" shape with nail masking tape on desired fingers. Use Caption core color in Look, Don't Touch ($12), a carbon black color. Polish a single thin coat within the lines of the masking tape. Slowly remove the tape after a few seconds. Allow to dry. 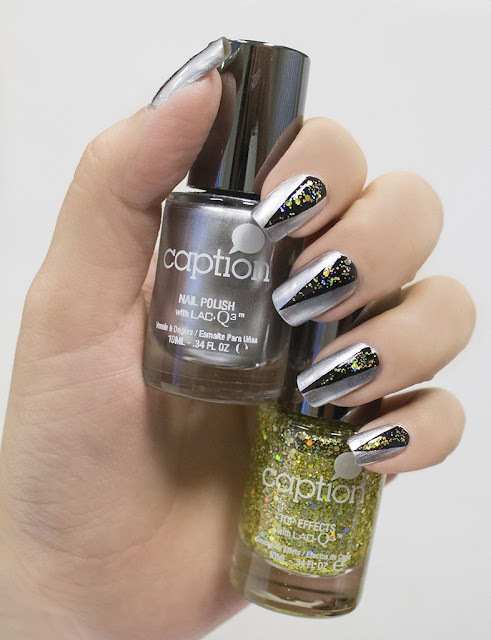 Use Caption top effect color in Act Like It Matters ($12), a dripping gold duo-cut glitter. Polish a single thin coat over the black. Allow to dry. Finish with Caption top coat. Polish a single thin coat. Dry for two minutes. To accelerate drying time, use Caption Drying Drops ($12). Apply one to two drops per nail after allowing the top coat to dry as instructed above.